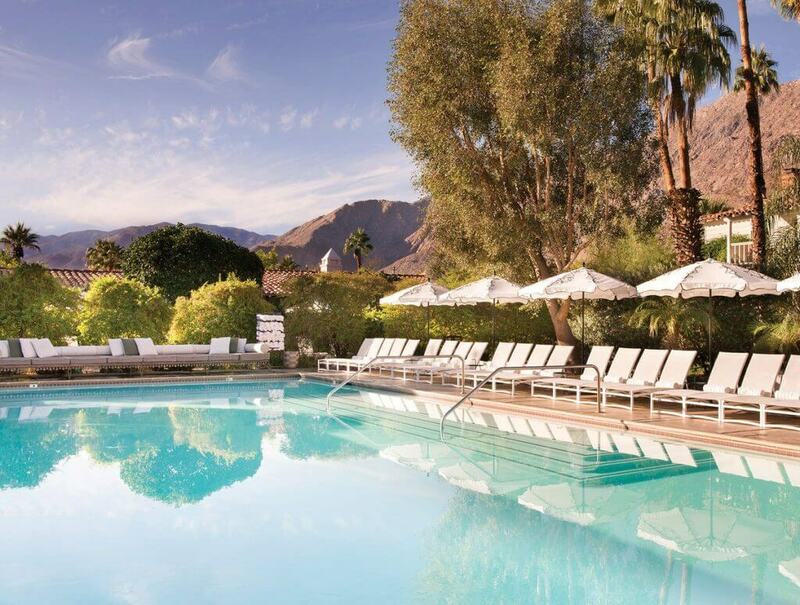 A luxury boutique hotel, Colony Palms is a hidden oasis in the heart of Palm Springs. First established in 1936, Colony Palms Hotel was once a saloon, speakeasy and gambling house that later became a playground for Hollywood’s A-list celebrities. Today, the hotel is a tranquil retreat nestled on three acres of secluded, lush grounds, yet is conveniently located in downtown Palm Springs. Its 44 guest rooms, 5 suites and 8 casitas offer brilliantly colored settings with original mosaic tiles, rich fabrics and woods, and black-and-white vintage photography. Fireplaces are also seen in many of the rooms, as well as scattered across the grounds in communal outdoor areas. While rooms open up to a central courtyard and pool area, mature gardens throughout the property provide a sense of privacy and intimacy. The hotel’s restaurant, the Purple Palm, boasts exquisite California cuisine from Executive Chef Nick Tall, and the newly renovated on-site spa offers a full treatment menu inclusive of massages, body treatments and nail services. 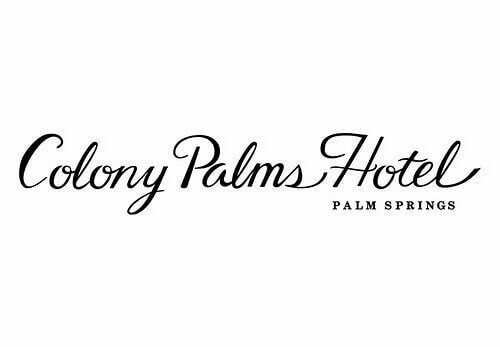 Colony Palms Hotel is where modern luxuries and a dash of old school romance combine to create a quintessential Palm Springs getaway experience. Artful, exotic, lush, and sophisticated, our stylish grounds and historic venues provide you with the requisite luxury for your unique wedding. Intimate or lavish, an elopement or a full property buyout, we’ll make all your happily-ever-after dreams come true. Choose from unique venues including the Palme d’Or event space, courtyard, garden, poolside or Olive Room. Adults Only? : While we welcome guests of all ages, the hotel caters to an adult experience in terms of entertainment and culture.